30% off the entire store until the 29th of April! You'll receive either 3 to 5 Mystery or Survival depending on what items you purchase, these keys will be used to help us understand what the community would find fair to obtain out of Survival's crates without getting unfortunate items that don't help anyone out. Click here to request crate changes on Survival. Lichcraftia will be observing how active the server is and what we can do to not only improve the server however, the community. Please be sure to click here to request any economy changes on Survival for an accurate economy balance. Lichcraftia Network has transferred hosts for our servers please let us know how you find the switch between the old host and the newer for us to figure out which is better suited for the community on Discord under Feedback and it will be resolved within the following month. Chat Moderator will no longer be a normal staff rank as Moderator or Admin are however, it will be a trial staff rank that will last two weeks, within those two weeks the applicant will follow out tasks given by Admin and Owner respectively then decided whether or not said applicant will be demoted or promoted to Moderator. DonationCraft will be replacing Tebex for our store provider as it is easier for management across the community, allowing users to have receipts in their Enjin Mail and not needing to access their actual emails to find purchase receipts to recover their items. More functionality between Enjin and server commands and resources. 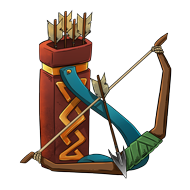 Lichcraftia Token, LCT for short will be our point system which will allow users to purchase all sorts of in-game items from the store without using your hard earned money. With each post made on the site, you'll earn 1 LCT and when you reach milestones on the forum, you'll accumulate more. Voting for the server is another way to earn LCT, 1 per vote. Last however, not least, you'll be able to purchase LCT from our store. You'll be able to send other users your LCT. The conversion rate is 100 LCT = $1 USD. Please do not spam forum posts or you'll have your LCT reduced and possibly restricted, unable to earn anymore. Check your in-game mail for coupon codes! Vote for $3000 and rewards!